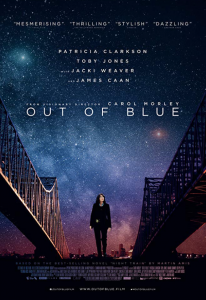 “Observation changes the result” we find out in Carol Morley’s timely thriller Out Of Blue. It’s a theory in physics, but it’s also interesting because of what it says about art and its audience. This is, the opening titles state, “a Carol Morley film”. Though maybe it isn’t any more? That’s a side issue though, as the key themes are so enormous: time, life, death, the meaning of reality, identity. The death of a star leads to new life in the universe, astrophysicist Dr Jennifer Rockwell (Mamie Gummer) tells us. Jennifer, even after she dies, continues to exist, whether as the ashes she wants chucked in a rubbish bin to eventually become part of someone else, or alive in a parallel universe as Jennifer. Out Of Blue is something of a glorious mess. There’s masses going on in terms of ideas, some of which seem basic and others complex. It’s often frustrating, sometimes plodding, and the dialogue at times borders on parody. It’s a film that by turns feels both signposted and directionless. Still, that feeling of uneasiness that I felt during and after watching it is always worth seeking out in movies. And its performances (particularly the magnetic Clarkson and a slightly crazed Jacki Weaver), and the sheer exuberance with which Morley chucks yet more suggestions into the cosmology pot, ultimately win through. Who doesn’t want to watch Patricia Clarkson? I’d pay to listen to her reading aloud from Stephen Hawking’s A Brief History Of Time – which might have helped me actually. I’ve never read it, though I tell people I have, and maybe another me in a parallel universe actually has <waves at successful Sarah in a second universe, ignores under-achieving Sarah in a third>. Clarkson is Detective Mike Houlihan. It’s a man’s name, and she’s always wearing the same all-black trouser suit. It’s not a man’s outfit though the rather odd Miriam Rockwell (Weaver), Jennifer’s mother, does turn wild-eyed at one point, asking Mike why she doesn’t dress like a woman. Mike doesn’t know her own past, and she’s not interested in finding out, feeling her life began when she entered the police academy (“It felt safe” she says of this new home). The job is still her life, and her friends are drawn from among her colleagues: Janey (Yolonda Ross), super-efficient and skilled at swapping between officer and soccer mom; and over-confident young cop Tony (Aaron Tveit). The only thing Mike has from her childhood is a blue and gold marble on a necklace that she always wears; the first sign that something weird is going on is when she finds more of the same marbles at Jennifer Rockwell’s home. This is a thriller, even if the path to enlightenment is an unusual one for a story about a rich, beautiful blonde found murdered. Jennifer is found dead next to a telescope, her face blown off, a single sock and an opened pot of old-fashioned face cream next to her (I can’t remember if it was Astral but it certainly should have been). There are some obvious suspects: her boyfriend Duncan Reynolds (Jonathan Majors), another astrophysicist at the university; the chain-smoking, ferrety Professor Ian Strammi (Toby Jones) who claims he was at a lake all night with colleague Sabrina White (Bri Collins) watching the stars and discussing Schrödinger’s cat (there’s so much Schrödinger’s cat in this that by the end I was begging the cosmos that it was just dead). Also suspicious are Jennifer’s wealthy war hero father Colonel Tom (James Caan) and her very odd twin brothers. 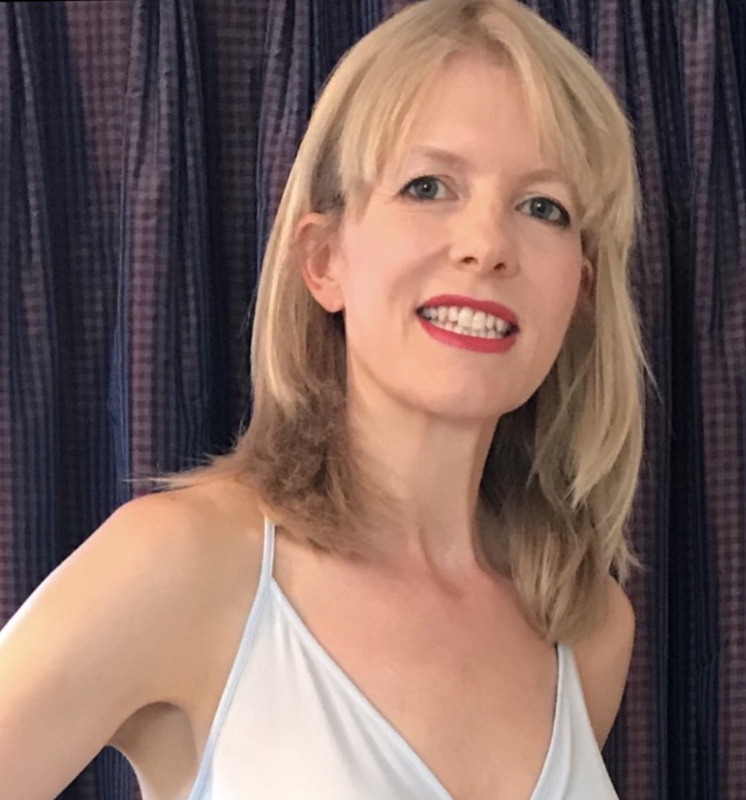 Jennifer’s death appears to mimic a series of killings decades before called the .38 Calibre Murders, a perfectly 1950s-sounding crime spree – when a succession of young, white, blonde women were shot in the face, a sock left at the scene, their belongings stolen by the killer as trophies. The link strengthens as mementos from that case start turning up. As Mike starts investigating, her usual uncanny ability to find links and solve cases deserts her, and her confusion mounts. The walls between time in this reality and others seem to be bending and dissolving. It’s only at the end of the film, when Mike appears to make her peace with the uncertainty, that she finally understands her life. Before we get to the denouement though, Jennifer’s love of vintage means the film itself is hard to place in time. She listens to cassettes in her car, yet Mike talks of drones. An Eels song from over a decade ago plays. It just adds to a feeling that there are no anchors in this film. It probably is set now, but the uncertainly shows how much we unconsciously look for indications of time to feel safe. Identity is linked to time, which I suspect is why we often find the idea of time not being linear so frightening. Out Of Blue has a lot of fun with identity: old crime photos; ugly portraits of the Rockwell family; repeated reflections in mirrors and windows that have a life of their own. Who are we? Does the idea of several more yous in other universes comfort you? Reynolds is cheered that Jennifer is alive somewhere else still, though the idea horrifies me. It’s helpful to have a guide to questions about the universe and whether the world or us are unique, and we get a couple: Reynolds, whose lectures provide some insight, and stylish TV reporter Stella (Stellar?) Honey (Devyn A. Tyler), who appears and disappears, if she even exists. Though while both help us through the labyrinth of Out Of Blue‘s ideas, they don’t clarify so much as point the way. Out Of Blue is unsettling, every line apparently heavy with meaning. It’s often interesting even if it doesn’t always make sense. Morley leaves a lot of clues and some red herrings, and there are enough twists that you start suspecting more twists when there are none. Jennifer dies early on, just after a talk she’s given under the starry sky next to the observatory. But she appears in flashback, and in recordings, and talks often of clues that will direct us to the centre of a black hole’s dark heart. She partly means space, but she’s also giving Mike clues to both her ending and Mike’s.